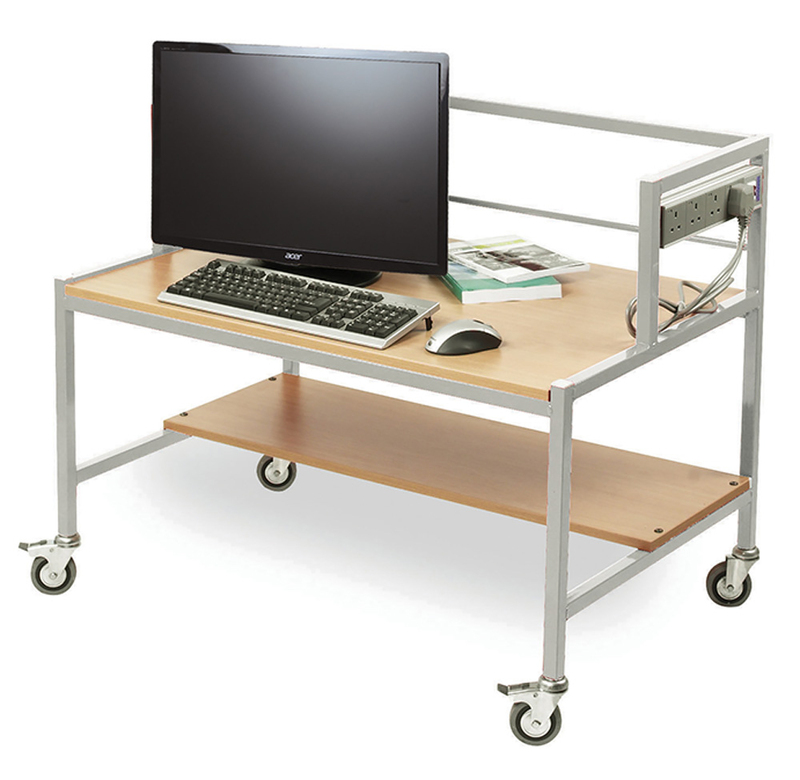 The single tiered computer trolley is a mobile computer desk designed for use within schools. The beech top is constructed from 18mm MFC and comes complete with lockable castor wheels for easy mobility. Included with the school computer trolley is a 4 gang power socket for powering your computer. The lower fixed shelf allows for additional storage. The computer workstation is available 6 heights between 500mm - 750mm from the floor to the main work surface.